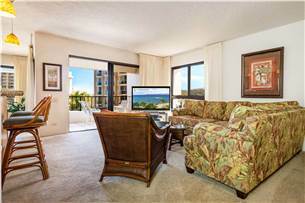 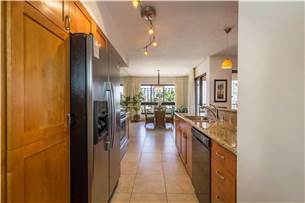 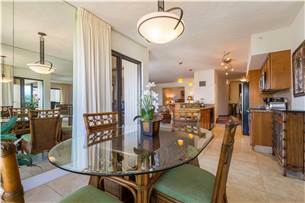 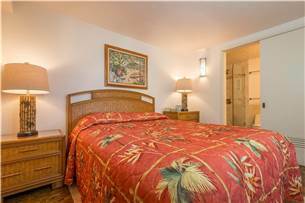 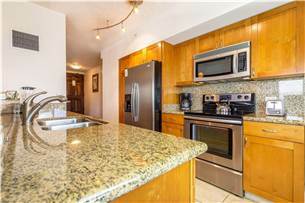 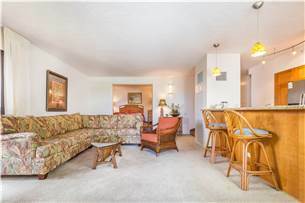 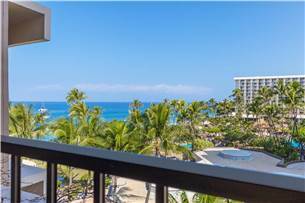 Our completely remodeled condominium is on the 7th floor with breathtaking ocean views, much sought after corner unit with SIDE windows. 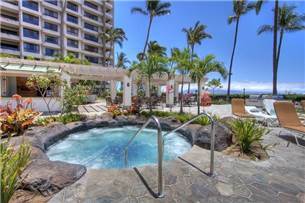 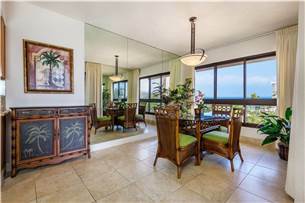 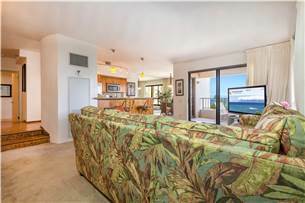 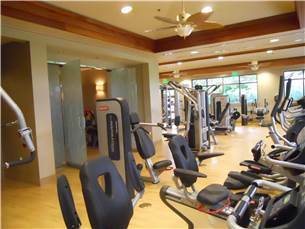 Although the world class luxurious Kaanapali Alii Resort has beautiful pools and courtyard views, only a few condos in building 1 that are on a high enough floor facing majestic Black Rock and ocean views have the advantage of actually being inner courtyard of the Maui Westin Resort and Spa. 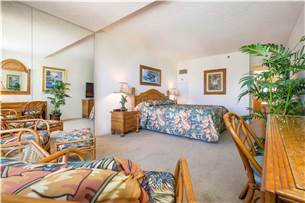 We guarantee a specific magnificent unit. 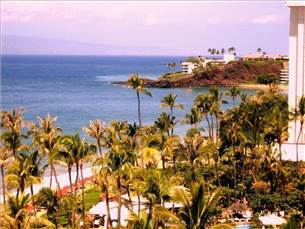 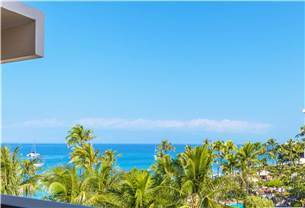 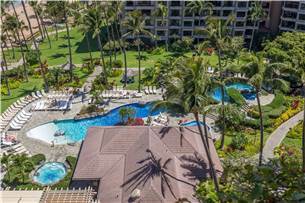 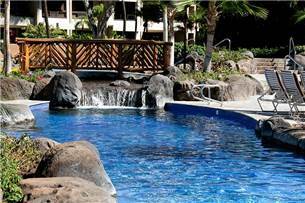 We have beautiful ocean beach views all the way to Black Rock, overlooking the Maui Westin Resort and Spa's lush inner courtyard koi ponds, cascading waterfalls, meandering pathways and swimming pools, exquisite, unequaled views of paradise. 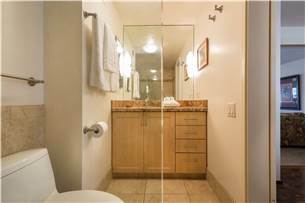 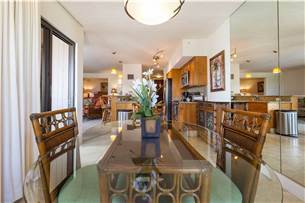 This particular condo unit's location is truly a hidden treasure. 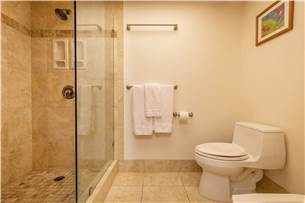 Our unit is fully equipped with all the comforts of home with its own washer and dryer and hair dryers. 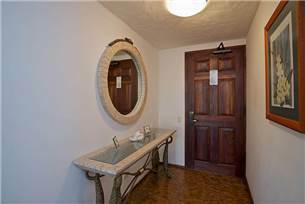 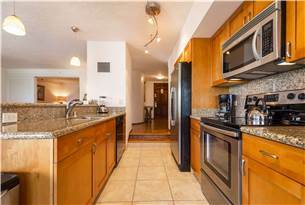 This non-smoking unit includes a beautiful kitchen with a separate dining area. 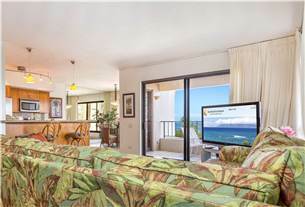 The living room features a 52' HD flat screen Aquos Sharp TV, Sony Blue Ray DVD player and Sony stereo system. 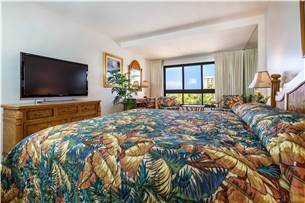 The master bedroom enjoys a million dollar view of the ocean all the way to Black Rock from the king size bed. 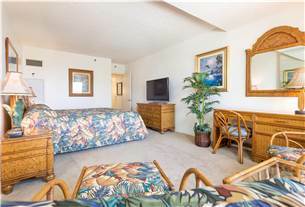 There is a 46' HD flat screen Aquos Sharp TV and Sony Blue Ray DVD Player. 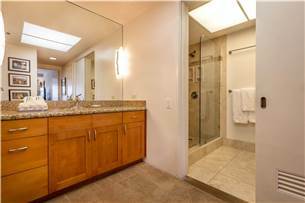 The huge master bathroom has a walk-in travertine marble shower. 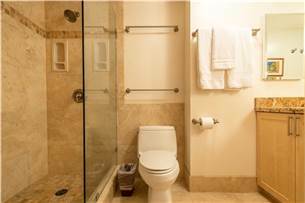 The extra bedroom has a queen size bed with its own bathroom with a walk in travertine marble shower. 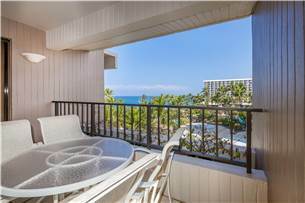 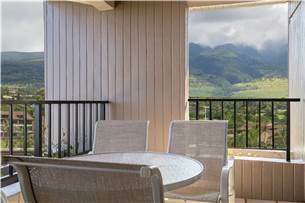 Dine out on the private lanai and enjoy the spectacular views.